F Juraj Hollý (Calgary, 2010-11) has signed a one-year contract with Liptovský Mikuláš (Slovakia, Extraliga). This season, in 22 games with Hermes Kokkola (Finland, Mestis) he was 2.63 and.904. Four days after firing Luke Pierce, the Kootenay Ice named James Patrick the eighth head coach in franchise history on Tuesday morning. Pierce, 33, had been the Ice’s head coach for two seasons. Patrick, who will turn 54 on June 14, signed a three-year contract. Dallas Stars (2013-17), working alongside head coach Lindy Ruff in both stops. 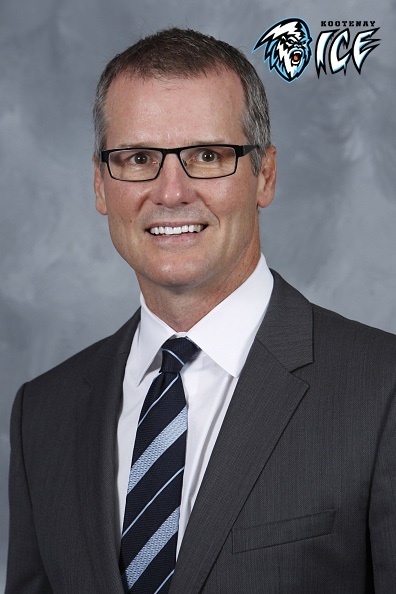 The Stars announced on April 9 that Ruff’s contract wouldn’t be renewed. At the same time, they chose not to extend Patrick’s deal. While Pierce came to Cranbrook with six years as a junior coach under his belt — he had been the general manager and head coach of the BCHL’s Merritt Centennials — Patrick has little in the way of junior hockey experience. Patrick is from Winnipeg, as are Ice owners Greg Fettes and Matt Cockell. However, Patrick told Ted Wyman of the Winnipeg Sun right here that is simply a coincidence. Patrick played for the SJHL’s Prince Albert Raiders (1980-81) then moved on to the U of North Dakota for two seasons. He followed that up with a season with Canada’s national team, then moved on to an NHL career that took him through 2003-04 and featured stints with the New York Rangers, who selected him with the ninth overall pick of the 1981 NHL draft, Hartford Whalers, Calgary Flames and Buffalo. A defenceman, he had 149 goals and 490 assists in 1,280 regular-season games. After playing with the DEL’s Frankfurt Lions in 2005-06, Patrick retired and joined the Sabres’ coaching staff. Patrick is an uncle to F Nolan Patrick of the Brandon Wheat Kings, who is expected to be one of the first two selections when the NHL draft opens in Chicago on June 23. Nolan’s father, Steve, a former WHL and NHL player, and James are brothers. In fact, it was through watching Nolan’s games via video over the past three seasons that apparently got James interested in the WHL. He told Brad McLeod of the Cranbrook Daily Townsman that “I tried to watch the majority of his games when I could, and I really got familiar with the league. Having been moved out by the Stars, Patrick got in touch with Kelly McCrimmon, who owns the Wheat Kings and also is the assistant GM with the NHL’s Vegas Golden Knights. Patrick was looking see in what direction the Knights were going with their coaching staff; McCrimmon put Patrick in touch with Cockell, the Ice’s president and GM who once was the Wheat Kings’ goaltending coach. One thing led to another and Patrick now is the Ice’s head coach. The Ice has been rebuilding for a couple of seasons now and has finished with the WHL’s poorest record in each of the past two seasons. Fettes and Cockell purchased the franchise from the Chynoweth family following the end of this season. McLeod’s complete story is right here. Three WHL teams have hired head coaches since the end of the 2016-17 regular season and two teams — the Calgary Hitmen and Victoria Royals — still have vacancies. It’s interesting to note that each of the three teams that has made a hire has gone in a different direction from the other two. Of those three teams, the Spokane Chiefs are the only one to have turned to someone with WHL coaching experience. The Chiefs announced Monday that Dan Lambert is their new head coach, replacing Don Nachbaur, who had been there for seven seasons. Lambert was introduced to fans and media in Spokane on Tuesday afternoon. Lambert spent five seasons as an assistant coach with the Kelowna Rockets and was their head coach in 2014-15 when they won a WHL title. He spent 2015-16 as an assistant coach with the NHL’s Buffalo Sabres and this season as the head coach of their AHL affiliate, the Rochester Americans. Meanwhile, the Everett Silvertips announced on May 15 that they had hired Dennis Williams as head coach, replacing Kevin Constantine whose contract wasn’t renewed after four seasons of a second go-round in Everett. While Williams doesn’t have any WHL experience, he spent the past seven seasons coaching the USHL’s Bloomington Thunder (2014-18) and NAHL’s Amarillo Bulls (2010-14), both junior franchises. Williams got a four-year deal from the Silvertips. On Tuesday, the Kootenay Ice announced that it has signed James Patrick as its head coach. Patrick, a former NHL player and assistant coach, has never been a head coach and hasn’t been associated with a junior team since 1980-81 when he was a defenceman with the SJHL’s Prince Albert Raiders. He was teammates with Lindy Ruff for three seasons with the NHL’s New York Rangers, then spent a total of 11 seasons as an NHL assistant, seven with the Buffalo Sabres and four with the Dallas Stars, all of them with Ruff as the head coach. The Chiefs didn’t reveal any of Lambert’s contract details, while the Ice announced that Patrick has a three-year deal. Now the spotlight falls on the Calgary Hitmen, who are looking to replace Mark French, who has signed to coach in Switzerland, and the Victoria Royals must replace Dave Lowry, who has signed on as an assistant coach with the NHL’s Los Angeles Kings. Interestingly, there had been speculation of late that the Royals were interested in Lambert. The WHL had at least part of its 2017-18 exhibition schedule on its website on Tuesday, but it all disappeared later in the day. . . . The OHL and QMJHL already have released their 2017-18 regular-season schedules. The WHL won’t release its schedule until some time after its annual general meeting, which is scheduled to be held in Vancouver, June 13 and 14. The Spokane Chiefs signed a pair of 2017 prospects on Tuesday — F Jack Finley and D Tyson Feist. . . . Finley, who will turn 15 on Sept. 2, was the sixth overall selection in the WHL’s 2017 bantam draft. From Kelowna, he is the son of former NHL D Jeff Finley, who now is the Detroit Red Wings’ chief amateur scout. Jack had 48 points, 23 of them goals, in 27 games with the Kelowna-based Pursuit of Excellence bantam prep team this season. . . . Feist, 16, was an invitee to the Chiefs’ 2016 training camp and was placed on their protected list in September. From Dawson Creek, B.C., he was 5-foot-10 at training camp and grew to 6-foot-2 during the season. He had three goals and 14 assists in 30 games with the Pursuit of Excellence Elite 15s. Another crazy Game 6 Stanley Cup Final sale in Nashville. Someone just paid $31,845 (including fees) on StubHub for 4 seats on glass.